Acclaimed singer-songwriter Lauren Evans belted out an anthem that set an powerful tone for WriteGirl’s songwriting showcase at the 17th annual WriteGirl Songwriting Workshop. The lyrics were written by 13-year-old WriteGirl teen Ava as a fight song for her generation. 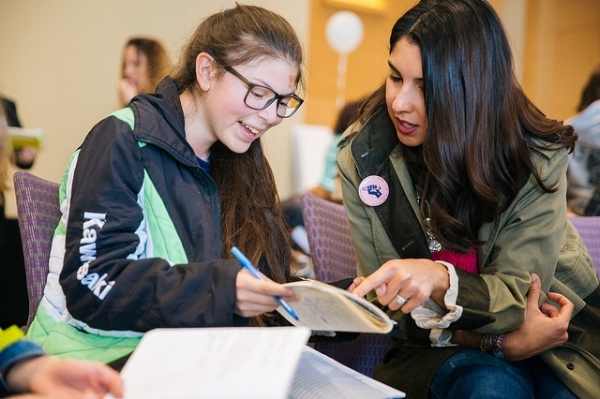 The workshop, held on March 3, 2018, brought together 200 girls and women writers for a day full of lyric writing at The Huntington Library, Art Collections and Botanical Garden sin San Marino. 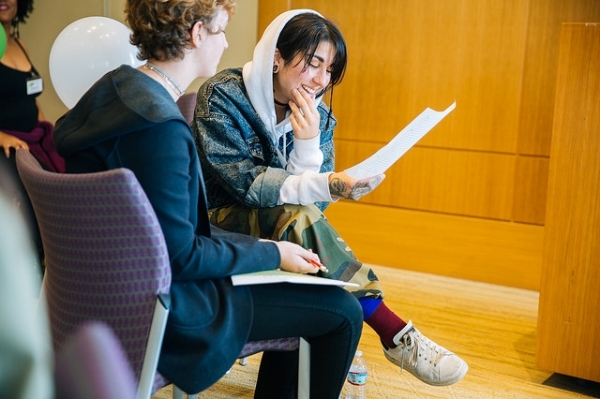 Guided by WriteGirl mentors and acclaimed women singer-songwriters, the teens learned the tenets of songwriting and gained inspiration for their lyrics in the gardens and art galleries of at The Huntington. The girls learned how to spot a bridge and chorus with a dance game featuring glow sticks and used rhyming dictionaries to craft their own patterns with the encouragement of personal mentors. They spent time in the library’s sprawling gardens seeking inspiration from buzzing insects, trees with spots that looked like eyes, and a sound exhibit inspired by satellites circling the Earth. Before the showcase, the teens worked with singer-songwriters in small groups to spruce up their work. 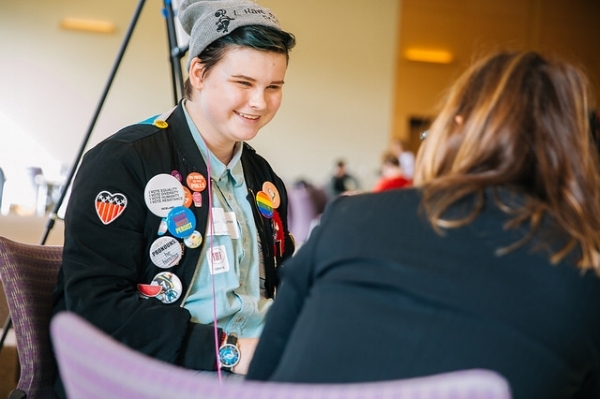 After the teens reconnected with their mentors in The Huntington’s Rothenberg Hall theater, the singers selected lyrics to perform on a stage lined with string lights. Singer-songwriters included Michelle Lewis, Lisa Loeb, Shelly Peiken, Holly Palmer, Jacq Becker, Laurie Geltman, Louise Goffin, Lauren Evans, Jahan Yousaf & Yasmine Yousaf of Krewella, Eve Nelson, Heidi Rojas, Deanna DellaCioppa, Kelly Marie Martin, Tova Litvin, Kay Hanley, Michelle Featherstone and Anne Preven. 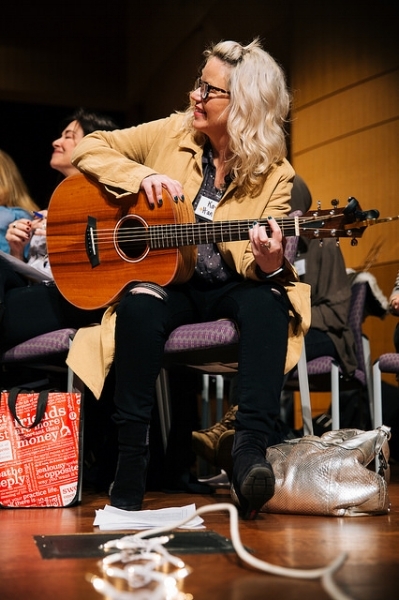 Singer-songwriter Holly Palmer, who has attended the annual workshop and showcase for several years, said it’s an honor to put the girls’ words to music. "For those girls to hear their words sung, in a song, communicates to them that they're writers, they're songwriters, and that's a very powerful experience for them,” she said. “I absolutely love it, and it brings something else out in me, because I find so much joy in the experience." 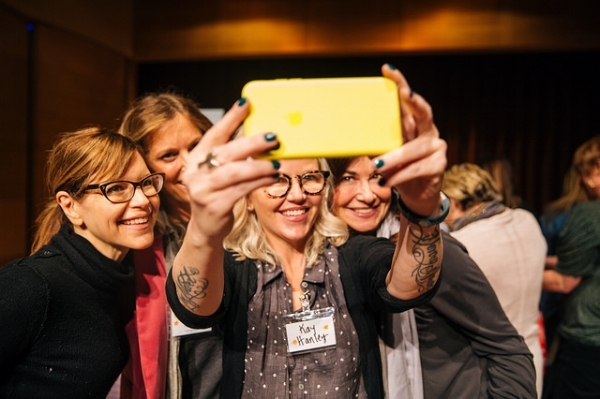 The annual WriteGirl Songwriting Workshop provides an opportunity for teen girls to express their emotions, ideas, stories, ambitions and what they want to change in the world. For many, it’s their first time writing a song, a process they once found too intimidating to try. 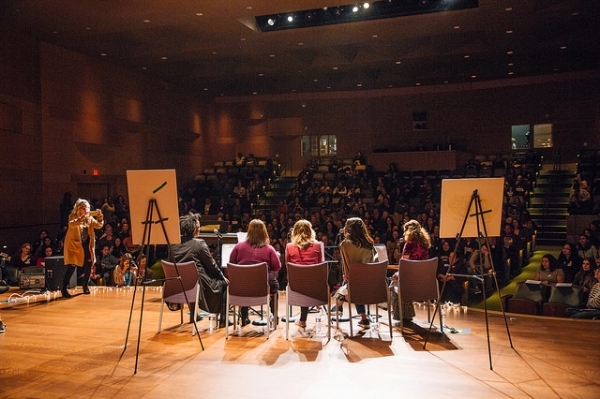 The 17th Annual WriteGirl Songwriting Workshop was sponsored in part by The ASCAP Foundation Irving Caesar Fund, Sony/ATV Music Publishing and the City of Los Angeles Department of Cultural Affairs - Youth Arts Division.